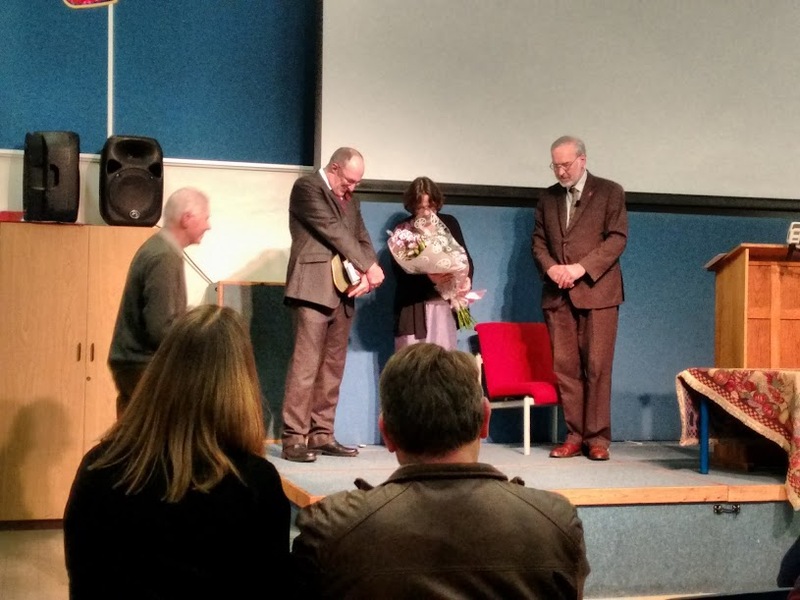 Some members of Whitby Evangelical Church went down to Stoke recently forBen Griffin's induction service to the pastorate at Hartshill Bible Church, Penkhull. 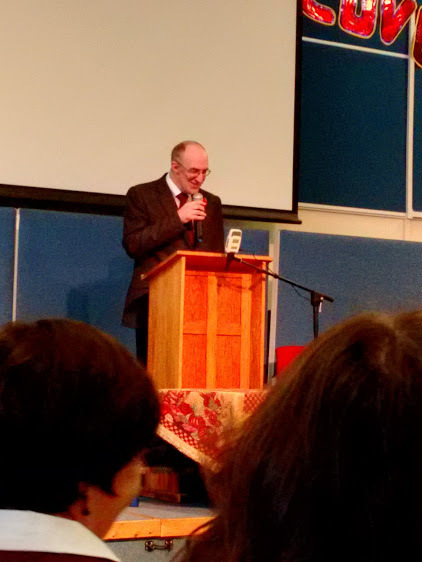 The current minister, Phil Roberts,led the service and representatives from Wheelock Heath Church and UFM commended Ben to the congregation. Graham Heaps carried out the induction and preached. 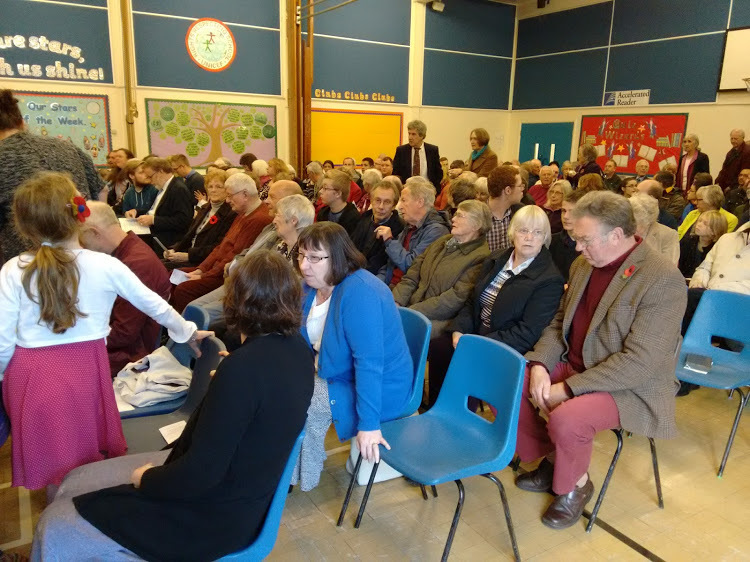 The service was attended by around 200 people and refreshments were served after the service. 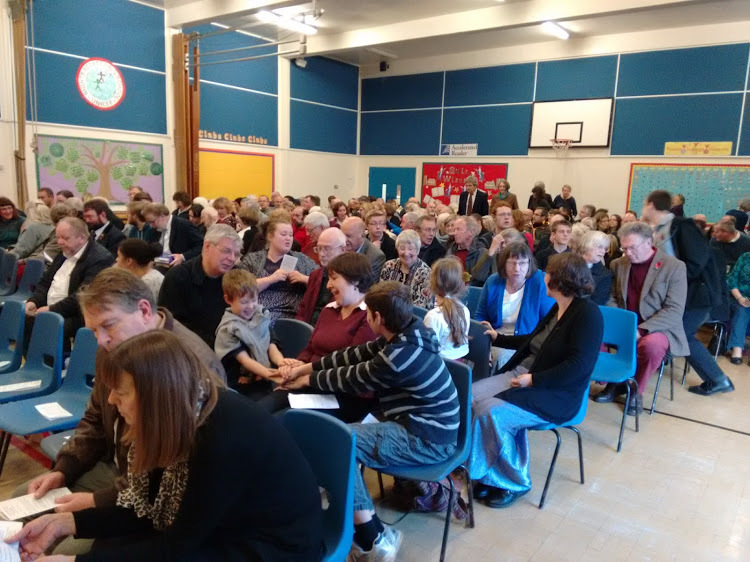 It was clear from the service itself and the comments of people afterwards that Ben and Liz and their family are already well integrated into the life of the church there and they are clearly well loved. Let us continue to pray for Ben and his new role and for Phil Roberts as he steps down as Ben takes over as the minister there. Here are a few photos taken on the day itself. Some of the congregation at the church.